eBay is a great place to shop for holiday bargains, but a word of warning to those who frequent the site: There are a lot of scammers active on it this season. 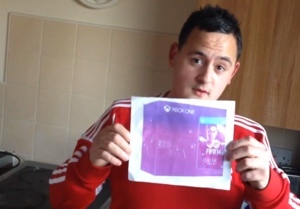 Today, the U.K.'s Nottingham Post is reporting that foul-hearted grinches used eBay to try and trick 19-year-old Peter Clatworthy out of $735, sending him a printed picture of an Xbox One gaming console instead of the actual machine he thought he had won. In the scam (and similar ones like it currently on eBay), the thieves create an auction for what appears to be an Xbox One in the appropriate area of the site. They note in the description, however, that they are only selling a photo of the item or the empty box the item came in. It’s possible the thieves think themselves to be operating within the letter of the law. Still, what they’re doing is illegal – their intent is clearly to trick and defraud people out of money. Even Judge Judy has condemned the practice on her show, reporting those who have tried it to real-life authorities. The good news is that the boy who was tricked will likely be getting his money back – the listing was against site rules, after all. “We don't allow listings which mislead, and will take action against this seller,” an eBay spokesperson told the U.K.’s Nottingham Post. “Mr. Clatworthy is covered by the eBay money-back guarantee and we will be contacting him to put things right." It’s good to use caution when buying on eBay. Be sure to read the entire item description before you buy, and avoid any listings that suggest you might get something else instead. Shop safe!